Published September 30, 2018 at 600 × 900 in Rain = Mushrooms! 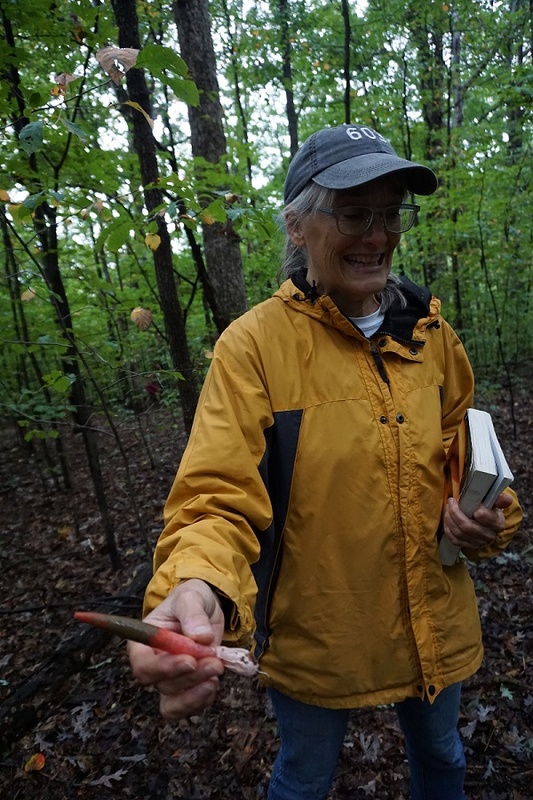 Peggy with an elegant stinkhorn. Photo by Chip Brown.